On Friday for STEM we dug a hole in the sandpit today so we could bury a bucket to make a volcano. Tiffany used her hand and arm so we could pack the sand tightly around her arm to make a funnel. Then she carefully took her arm away and we poured some baking soda into the hole. Next we tipped quarter of the bottle of white vinegar on top of the baking soda. We noticed it starting to bubble and fizz and foam over the top. 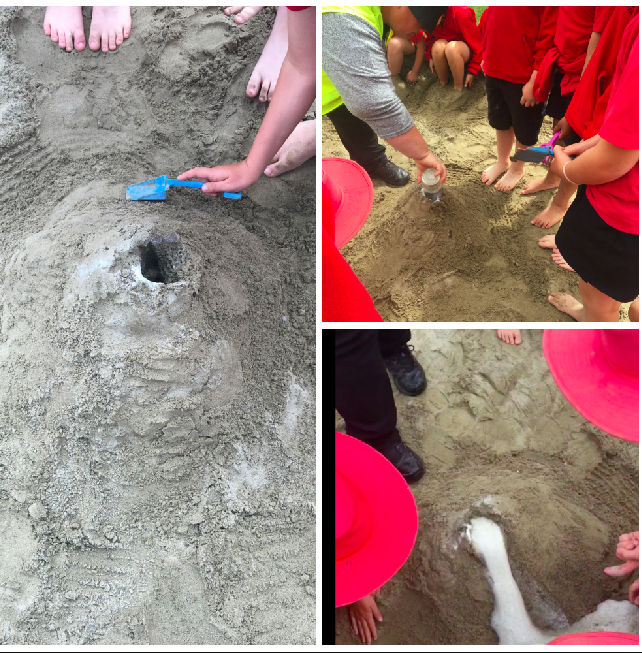 It didn’t last very long so we let the sand absorb the liquid. We then added a full jar of baking soda into the hole and gently poured the rest of the bottle of white vinegar into the hole. The reaction was much bigger and heaps of foam and bubbles came out the top. 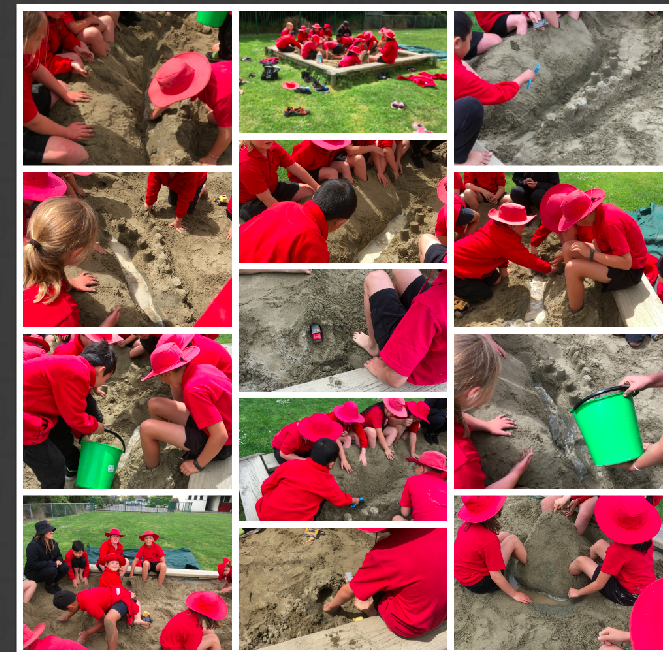 Then we had a fun in the sandpit experimenting and chatting.